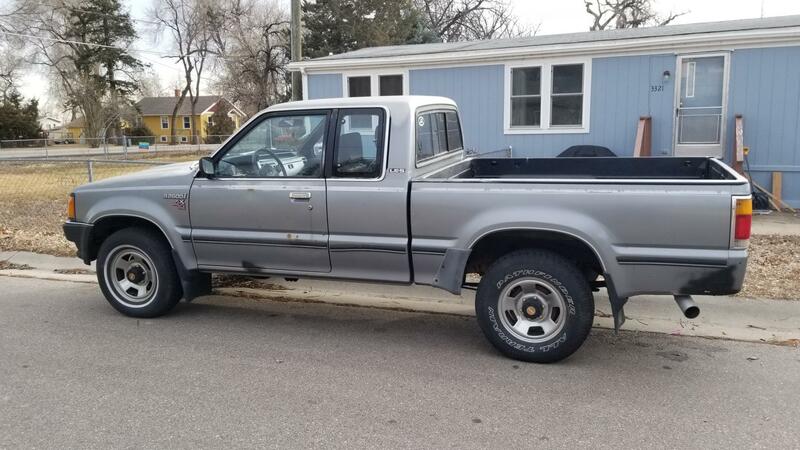 Hi all, I bought a 1990 B2600i extended cab 4x4 a while back. Found out the head gasket was shot and there was enough extra to do that we decided to buy a long block. It's been fun and here a month later the truck has started, some of the wiring corrected and we're ready to start driving it. I'm loving this truck so far. I did adjust the pedal a bit to get that clutch to engage a little higher off the floor. I can't get the parking brake to engage, even though it seems to work at the handle in the cab. Thanks in advance for your posts, I'm sure I'll learn a lot here. I can't get the parking brake to engage, even though it seems to work at the handle in the cab. Buzzy - pull the rear drums and take a look-see, make sure that the cables are operating the lever on each side. If so, you may want to try adjusting the rear brakes manually in case the adjusters are malfunctioning. Use two 8mm x 1.25mm bolts like 50mm long to extract the rear drum, tighten alternatively in the two holes provided for this purpose. Thanks. I did pull the hubs and the brake shoes look pretty good. I don't see any movement in the parking brake cable when another person pulled the handle in the cab. I suspect the cable is rusty somewhere else. Next, I'll check the crossover and see if there's movement there. I'm having p-brake issues too. My brother, when he owned it, use to live by on the east coast and kayaked a lot. As such, I think it got exposed to salt water often. I think I need to eval the entire system, so am going to keep an eye on this thread. Sunrise Red 1991 Mazda B2600i SE-5 4X4 with 2.6L engine & over 250,000 miles!